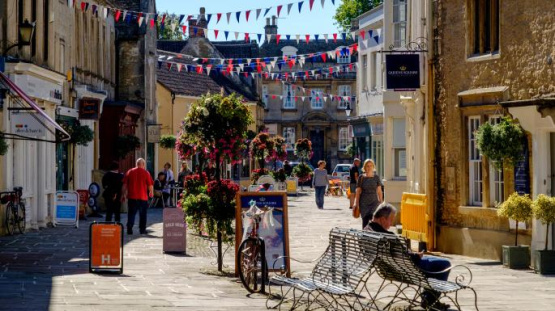 The charming town of Corsham is home to one of our Wiltshire based offices and was also a feature in The Sunday Times this month. The Sunday Times reported that 'this little Wiltshire town is big on Georgian finery, independent shops and peacocks'. The article went on to say 'there are no Costas in Corsham, nor Starbucks, but plenty of cosy quirky independent cafes tucked inside the ancient stone buildings of the high street'. We love having a high street presence in the town and the location couldn't be better being less than 10 miles from Bath. Whether you're looking for a period cottage or a family home close to local amenities and stunning countryside with a friendly community, this town has it all. What is even more exciting about the article is that Georgina Drew from our dedicated Sales Progressing team is pictured walking down the high-street. To view all current properties for sale in Corsham please click here or contact us on 01249 712 039.